R. “Kelly” Kelly is a Chartered Investment Counselor (C.I.C.) with over 50 years experience in the securities profession. His substantial investment background includes conducting economic and securities research and personally managing significant client portfolios. In the decade prior to co-founding Spectrum Asset Management, Kelly was President of Argus Investment Management, Inc., a subsidiary of Argus Research Group of New York. 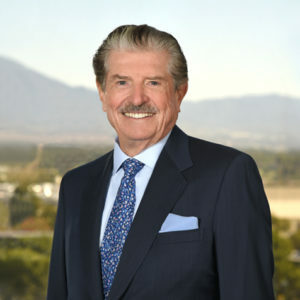 Previously, he headed Arbor Investment Management in Pasadena and was president of Lenox Capital Management of New York; and American General Capital Management of Houston. He has been a credentialed instructor in the California College system for over 30 years, and is the author of several published articles on investment and finance. Kelly attended East L.A. Community College and received his Bachelor of Arts in Economics from California State University at Los Angeles and has completed additional studies at the Wharton School of Finance and Princeton. Under the adage of “don’t let your age be your cage”, Kelly recently completed his Executive MBA at Pepperdine University. Separately, he was recognized as an outstanding alumni and received the Distinguished Alumnus Award from the College of Business and Economics at California State University, Los Angeles and has spoken as a guest lecturer on investments and life wisdom at the campus. Kelly is a life long skier and handball player.